Beaming smiles, elated attitudes and a week full of art are what children at Art Explorers Program experience. Who wouldn’t want to be an Art Explorer? Every year students in the Art Explorers program are eager to learn from some of the very best teachers about the fundamentals and history of art, gaining new knowledge outside of the classroom. When walking through the doors of the Art Explorers building there is no doubt that creativity shines through each and every student. They have the opportunity to participate and work on a variety of projects. Imaginations run wild with everything from painting, drawing, to working with leather and fabric to create fashion pieces. Students are greeted every morning by director Rita Mary Vining’s smile and are always prepped for a day of fun. 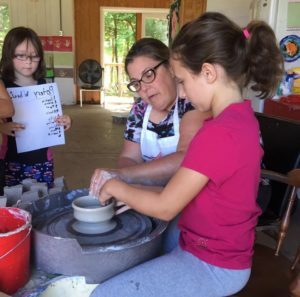 As a testament to her success and the Foundation’s long funded support, the program has been running for over a decade and continues to encourage students to learn, share and to explore their creative sides. The Art Explorer program runs from July through mid-August. Scholarships are provided by the Windham Foundation for local children to attend. Over half of the children attend more than one week. “We love the program,” said one parent, “our daughter couldn’t stop talking about her new friends and all the things she did each day. 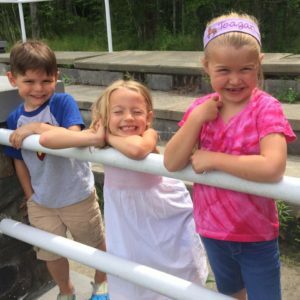 It’s really special.” So until next July we await to see the children of Windham and the mountaintop with their beaming smiles and infectious attitudes for another exciting summer with Rita Mary Vining and the Arts Explorer Program. The Windham Foundation is a 501©3 not-for profit organization. The Windham Foundation is governed by a Board of Directors, which serves on a non-paid volunteer basis. For more information, please visit www.windhamfoundation.com or call 518-734-9636.